This webiste is all about the Orginal Disney Characters and the creator. Click on Characters to find out the Characters and Click on Home to go to the home page or Click on Book A Holiday to Book A Holiday at one of their two resorts. This page is all about Walt Disney, the creator of the original characters of Mickey Mouse and Disney. Disney was born on December 5, 1901, at 2156 N. Tripp Avenue in Chicago's Hermosa community area to Irish-Canadian father Elias Disney and Flora Call Disney, who was of German and English descent. His great-grandfather, Arundel Elias Disney, had emigrated from Gowran, County Kilkenny, Ireland where he was born in 1801. Arundel Disney was a descendant of Robert d'Isigny, a Frenchman who had travelled to England with William the Conqueror in 1066. With the d'Isigny name anglicised as "Disney", the family settled in a village now known as Norton Disney, south of the city of Lincoln, in the county of Lincolnshire. In 1878, Disney's father Elias had moved from Huron County, Ontario, Canada to the United States at first seeking gold in California before finally settling down to farm with his parents near Ellis, Kansas, until 1884. Elias worked for the Union Pacific Railroad and married Flora Call on January 1, 1888, in Acron, Florida, just 40 miles north of where Walt Disney World would ultimately be developed. The family moved to Chicago, Illinois, in 1890, hometown of his brother Robert who helped Elias financially for most of his early life. In 1906, when Walt was four, Elias and his family moved to a farm in Marceline, Missouri, where his brother Roy had recently purchased farmland. In Marceline, Disney developed his love for drawing with one of the family's neighbors, a retired doctor named "Doc" Sherwood, paying him to draw pictures of Sherwood's horse, Rupert. His interest in trains also developed in Marceline, a town that owed its existence to the Atchison, Topeka and Santa Fe Railway which ran through it. Walt would put his ear to the tracks in anticipation of the coming train then try and spot his uncle, engineer Michael Martin, conducting the train. 10-year old Walt Disney (center right) at a gathering of Kansas City newsboys in 1912. The Disneys remained in Marceline for four years, before moving to Kansas City in 1911 where Walt and his younger sister Ruth attended the Benton Grammar School. At school he met Walter Pfeiffer who came from a family of theatre aficionados, and introduced Walt to the world of vaudeville and motion pictures. Before long Walt was spending more time at the Pfeiffers' than at home. As well as attending Saturday courses at the Kansas City Art Institute, Walt often took Ruth to Electric Park, 15 blocks from their home, which Disney would later acknowledge as a major influence of his design of DisneyLand. Teenage years In 1917, Elias acquired shares in the O-Zell jelly factory in Chicago and moved his family back to the city, where in the fall Disney began his freshman year at McKinley High School and took night courses at the Chicago art institution. He became the cartoonist for the school newspaper, drawing patriotic topics and focusing on World War I. Despite dropping out of high school at the age of sixteen to join the army, Disney was rejected for being underage. After his rejection by the army, Walt and a friend decided to join the Red Cross Soon after joining he was sent to France for a year, where he drove an ambulance, but only after the armistice was signed on November 11, 1918. Disney as an ambulance driver immediately after World War I Hoping to find work outside the Chicago O-Zell factory, in 1919 Walt moved back to Kansas City to begin his artistic career. After considering whether to become an actor or a newspaper artist, he decided on a career as a newspaper artist, drawing political caricatures or comic strips. But when nobody wanted to hire him as either an artist or even as an ambulance driver, his brother Roy, then working in a local bank, got Walt a temporary job through a bank colleague at the Pesmen-Rubin Art Studio where he created advertisements for newspapers, magazines, and movie theaters. At Pesmen-Rubin he met cartoonist Ubbe Irwerks and when their time at the studio expired, they decided to start their own commercial company together. After losing the rights to Oswald, Disney felt the need to develop a new character to replace him, which was based on a mouse he had adopted as a pet while working in his Laugh-O-Gram studio in Kansas City. Ub Iwerks reworked the sketches made by Disney to make the character easier to animate although Mickey's voice and personality were provided by Disney himself until 1947. In the words of one Disney employee, "Ub designed Mickey's physical appearance, but Walt gave him his soul." Besides Oswald and Mickey, a similar mouse-character is seen in the Alice Comedies, which featured "Ike the Mouse". Moreover, the first Flip the Frog cartoon called Fiddlesticks showed a Mickey Mouse look-alike playing fiddle. The initial films were animated by Iwerks with his name prominently featured on the title cards. Originally named "Mortimer", the mouse was later re-christened "Mickey" by Lillian Disney who thought that the name Mortimer did not fit. Mortimer later became the name of Mickey's rival for Minnie – taller than his renowned adversary and speaking with a Brooklyn accent. The first animated short to feature Mickey, Plane Crazy was a silent film like all of Disney's previous works. After failing to find a distributor for the short and its follow-up, The Gallopin' Gaucho, Disney created a Mickey cartoon with sound called Steamboat Willie. A businessman named Pat Powers provided Disney with both distribution and Cinephone, a sound-synchronization process. Steamboat Willie became an instant success, and Plane Crazy, The Galloping Gaucho, and all future Mickey cartoons were released with soundtracks. After the release of Steamboat Willie, Disney successfully used sound in all of his subsequent cartoons, and Cinephone also became the new distributor for Disney's early sound cartoons. Mickey soon eclipsed Felix the Cat as the world's most popular cartoon character and by 1930, despite their having sound, cartoons featuring Felix had faded from the screen after failing to gain attention. Mickey's popularity would subsequently skyrocket in the early 1930s. Silly Symphonies Following in the footsteps of Mickey Mouse series, a series of musical shorts titled, Silly Symphonies were released in 1929. The first, The Skeleton Dance was entirely drawn and animated by Iwerks, who was also responsible for drawing the majority of cartoons released by Disney in 1928 and 1929. Although both series were successful, the Disney studio thought it was not receiving its rightful share of profits from Pat Powers, and in 1930, Disney signed a new distribution deal with Columbia Pictures. The original basis of the cartoons was their musical novelty with the first Silly Symphony cartoons featuring scores by Carl Stalling. Iwerks was soon lured by Powers into opening his own studio with an exclusive contract, while Stalling would also later leave Disney to join Iwerks. Iwerks launched his Flip the Frog series with the first voiced color cartoon Fiddlesticks, filmed in two-strip Technicolor. Iwerks also created two other cartoon series, Willie Whopper and the Comicolor. In 1936, Iwerks shut down his studio in order to work on various projects dealing with animation technology. He would return to Disney in 1940 and go on to pioneer a number of film processes and specialized animation technologies in the studio's research and development department. By 1932, although Mickey Mouse had become a relatively popular cinema character, Silly Symphonies was not as successful. The same year also saw competition increase as Max Fleischer's flapper cartoon character, Betty Boop, gained popularity among theater audiences. Fleischer, considered Disney's main rival in the 1930s, was also the father of Richard Fleischer, whom Disney would later hire to direct his 1954 film 20,000 Leagues Under the Sea. Meanwhile, Columbia Pictures dropped the distribution of Disney cartoons to be replaced by United Artists. In late 1932, Herbert Kalmus, who had just completed work on the first three-strip technicolor camera, approached Walt and convinced him to reshoot the black and white Flowers and Trees in three-strip Technicolor. Flowers and Trees would go on to be a phenomenal success and would also win the first Academy Award for Best Short Subject: Cartoons in 1932. After the release of Flowers and Trees, all subsequent Silly Symphony cartoons were in color while Disney was also able to negotiate a two-year deal with Technicolor, giving him the sole right to use their three-strip process, a period eventually extended to five years. Through Silly Symphonies, Disney also created his most successful cartoon short of all time, The Three Little Pigs (1933). The cartoon ran in theaters for many months, featuring the hit song that became the anthem of the Great Depression, "Who's Afraid of the Big Bad Wolf". Walt Disney was a chain smoker his entire adult life, although he made sure he was not seen smoking around children. In 1966, Disney was scheduled to undergo surgery to repair an old neck injury caused by many years of playing polo at the Riviera Club in Hollywood. On November 2, during pre-operative X-rays, doctors at Providence St. Joseph Medical Center, across the street from the Disney Studio, discovered a tumor in his left lung. Five days later a biopsy showed the tumor to be malignant and to have spread throughout the entire left lung. After removal of the lung, doctors informed Disney that his life expectancy was six months to two years. After several chemotherapy sessions, Disney and his wife spent a short amount of time in Palm Springs, California. On November 30, Disney collapsed at his home. 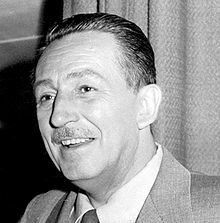 He was revived by fire department personnel and rushed to St. Joseph's where on December 15, 1966, at 9:30 am, ten days after his 65th birthday, Disney died of acute circulatory collapse, caused by lung cancer. The last thing he reportedly wrote before his death was the name of actor Kurt Russell, the significance of which remains a mystery, even to Russell. Roy O. Disney continued out with the Florida project, insisting that the name be changed to Walt Disney World in honor of his brother. “ He was up in the third floor of the animation building after a run-through of The Happiest Millionaire. He usually held court in the hallway afterward for the people involved with the picture. And he started talking to them, telling them what he liked and what they should change, and then, when they were through, he turned to us and with a big smile, he said, 'Keep up the good work, boys.' And he walked to his office. It was the last we ever saw of him. ” Hibernation urban legend A long-standing urban legend maintains that Disney was cryonically frozen, and his frozen corpse stored beneath the Pirates of the Caribbean ride at Disneyland. In fact, Disney's remains were cremated on December 17, 1966, and his ashes interred at the Forest Lawn Memorial Park in Glendale California. The first known human cryonic freezing did not occur until January 1967, more than a month after Disney's death. According to "at least one Disney publicist", as reported in the French magazine Ici Paris in 1969, the source of the rumor was a group of Disney Studio animators with "a bizarre sense of humor" who were playing a final prank on their late boss. Although the rumor is acknowledged as false by most historians, Robert Mosley (in Disney’s World (1986)) and Marc Eliot (in Walt Disney – Hollywood’s Dark Prince (1993)) argue that Disney may have known of cryonics and may have had an interest in the science. However his daughter Diane wrote in 1972, "There is absolutely no truth to the rumor that my father, Walt Disney, wished to be frozen. I doubt that my father had ever heard of cryonics."